 УНСС :: В периода 17-19 май 2019 г. пред студентите от магистърската програма по “Счетоводство,финансов контрол и финанси с преподаване на английски език" лекция ще изнесе проф. Kiymet Tunca CALIYURT . Предстоящо > В периода 17-19 май 2019 г. пред студентите от магистърската програма по “Счетоводство,финансов контрол и финанси с преподаване на английски език" лекция ще изнесе проф. Kiymet Tunca CALIYURT . В периода 17-19 май 2019 г. пред студентите от магистърската програма по “Счетоводство,финансов контрол и финанси с преподаване на английски език" лекция ще изнесе проф. Kiymet Tunca CALIYURT . Prof. Dr. Kiymet Tunca Caliyurt, CPA, CFE, graduated from the Faculty of Business Administration at Marmara University, Istanbul, Turkey. Her Masters and Ph.D. degrees are in the Accounting and Finance Programme from the Social Graduate School, Marmara University. She has worked as an auditor in Horwath Auditing Company, a manager in McDonalds and finance staff in Singapore Airlines. After vast experience in the private sector, he has started to work in academia. She is holding CFE and CPE titles. Her research interests are in accounting, auditing, fraud, social responsibility, corporate governance, finance, and business ethics, with a special interest in aviation management, NGOs, women rights in business. She has been a visiting researcher in Massachusetts University Amherst Business School. She is the founder of the International Group on Governance, Fraud, Ethics and Social Responsibility (IGonGFE&SR) which was founded in 2009. In 2009, she also founded the International Women and Business Group, which organizes global, annual conferences. Kiymet has published papers, book chapters and books both nationally and internationally on fraud, social responsibility, ethics in accounting/finance/aviation disciplines in Springer and Routledge. She is book series editor in Springer with the title Accounting, Finance, Sustainability, Governance & Fraud: Theory and Application, and book series editor in Routledge with the title Women and Sustainable Business. Some book titles: Emerging Fraud (with Sam Idowu), Corporate Governance: An International Perspective (with Sam Idowu), Women and Sustainability in Business: A Global Perspective, Sustainability and Management: An International Perspective (with Ulku Yuksel), Globalization and Social Responsibility (with David Crowther), Regulations and Applications of Ethics in Business Practice (with Dr Jiang Bian), Ethics and Sustainability in Accounting and Finance, Volume I. She is acting as a member in the editorial board Journal of Financial Crime, Social Responsibility Journal, International Journal on Law and Management, Journal of Money Laundering Control. She is a regular speaker at International Economic Crime Symposium in Jesus College, Cambridge University. She is a member in the editorial board Social Responsibility Journal, Journal of Financial Crime, International Journal of Law and Management. She is a partner of Herme Consulting in Trakya University Technopark.